Bond No. 9, a perfumer known for creating New York City inspired scents, launched its latest eau de parfum on July 8th. While those familiar with the brand may be asking, “What's the new neighborhood?” This time, it isn't uptown, downtown, or even in the outer boroughs. The latest fragrance draws its inspiration from the largest neighborhood in the world … the digital village, otherwise known as the Internet. Aptly named HTTP://WWW.BONDNO9.COM, this unisex scent’s key ingredients are tropical fruit and berry accords that have only recently begun playing a role in perfumery. The starter notes are a high-energy mix of bergamot, pineapple, and juniper berry. Then come the heart notes of apple and blackcurrant, which usually appear as top-notes, along with fresh, clean cedar wood, which combine to underscore HTTP://'s lightness, and which also suggest a new approach to fragrance architecture. By contrast, the base notes are a blend of patchouli and moss with warm and sensual musk and amber. 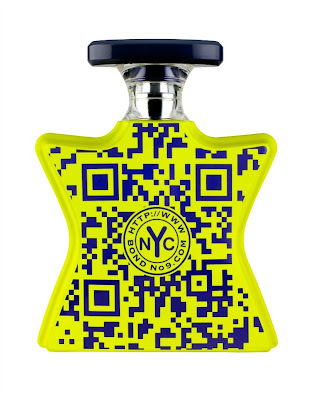 Now about the bottle design and availability: The coded blue scanner pattern on the neon-yellow background (bright as virtual sunshine, and echoing the bergamot and pineapple notes inside) isn't just hypermodern digital decor. It's the scent's QR (Quick Response) code. 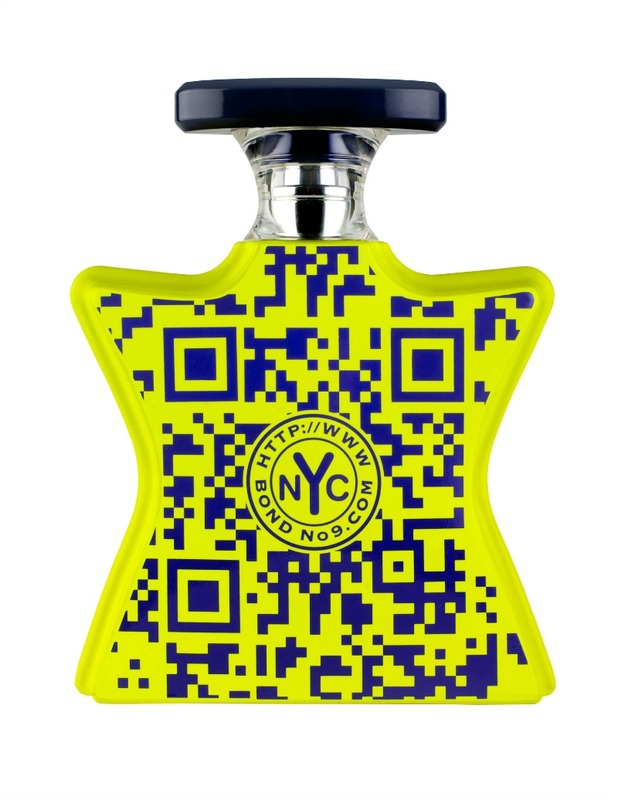 Scan it with a QR reader, and you'll instantly be transported to the fragrance's URL, where you can order your first bottle. In fact, for the launch, HTTP:// will be sold online only. Once you have it in-hand and spray it on, you'll generate lots of person-to-person QR of your own.